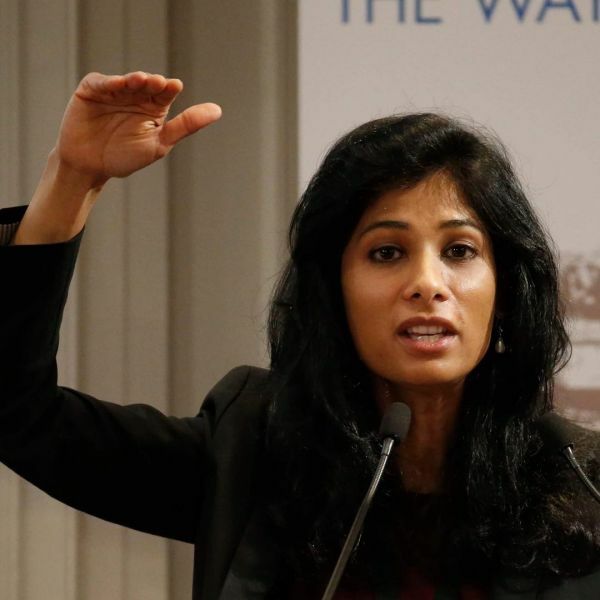 Who Is Gita Gopinath, The First Woman Chief Economist Of The IMF? 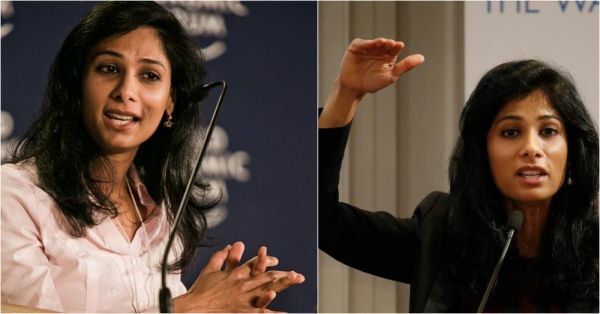 Make way for the first-ever female chief economist of the International Monetary Fund, Gita Gopinath. Gita, the current and 11th Economic Counsellor and Director of the IMF’s Research Department, was born in Kolkata and raised in Mysuru. The Indian-American was officially appointed on October 1, 2018, by IMF Managing Director Christine Lagarde and she took over the role on January 8, 2019. Announcing her appointment on October 1, Christine described Gita as "one of the world's outstanding economists with impeccable academic credentials, a proven track record of intellectual leadership and extensive international experience. She is phenomenal, not just in her leadership of the IMF but as a role model for women around the world." At the age of 47, Gita has proved to be an achiever. Her journey shows that if you work towards it, you can achieve it. From being a Delhi University student, a professor at Harvard to now being the chief economist of the IMF, Gita has been no less than an inspiration. 1. Gita completed her schooling from Nirmala Convent School in Mysuru and did graduation in Economics Honours from Lady Sriram College, University of Delhi and Masters in Economics from Delhi School of Economics, University of Delhi. 2. She completed her Masters in Arts at the University of Washington and PhD at Princeton University, New Jersey. She was awarded the Princeton's Woodrow Wilson Fellowship Research Award while doing her doctorate at Princeton. 3. Gita is John Zwaanstra Professor of International Studies and of Economics at Harvard University. 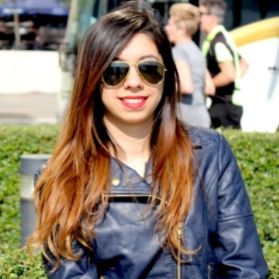 Her research focuses on International Finance and Macroeconomics. 4. Gita is a co-director of the International Finance and Macroeconomics program at the National Bureau of Economic Research. 5. She has served as an Economic Adviser to Kerala Chief Minister Pinarayi Vijayan in 2016. 6. She was a World Economic Forum Young Global Leader in 2011. 7. She is a visiting scholar at the Federal Reserve Bank of Boston. 8. She is a member of the economic advisory panel of the Federal Reserve Bank of New York. 9. She is a co-editor at the American Economic Review, the co-editor of the current Handbook of International Economics and was the managing editor of the Review of Economic Studies. 10. 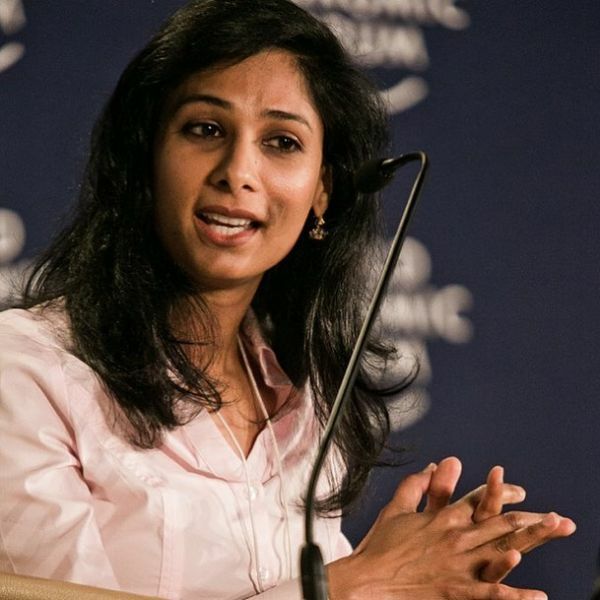 She was named one of the top 25 economists under 45 by the International Monetary Fund in 2014. Gita, in an interview with The Harvard Gazette, said that her appointment is a tremendous honour. She will be taking up all the challenges that the IMF is facing right now and we're sure we'll see her chairing many international leaders conferences and summits. The International Monetary Fund is an international organisation formed by 189 countries. The IMF's primary mission to bring economic stability in the world by keeping a track of the global economy, lending to countries that find it hard to fund their economy and providing counselling to countries seeking financial advice.